Choosing between an in-house marketing team or an agency is a tough decision. Although there are shortcomings with either, there’s one glaring issue that faces B2B businesses who go in-house; they miss out on all of the shared learnings that come with an agency. 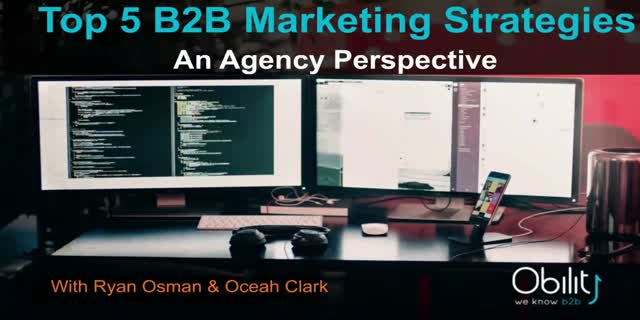 Join this webinar to discover insights from an agency’s diverse client portfolio perspective. We’ll also review the top campaign strategies that have driven the best results for us in 2016.